Doesn't everybody yearn for a 2nd home?…. A beautiful place to go and do nothing but relax and spend time with friends and family…drinking nice wine, eating yummy food and reading those books you've always wanted to have time to read. Unfortunately, it's often hard to justify the expense of a 2nd home when the upkeep of the primary residence sometimes seems overwhelming. As someone who traded in my primary residence to live in my "2nd" home on a full-time basis, I understand this dilemma all too well, but did you know there are some awesome tax benefits to having a second home? For one thing, interest is deductible for your first 1.1 million in debt. (you can buy a darn nice home for 1.1 million) Also, if you rent it out for less than 14 days/year, you don't have to pay taxes on that rental income….cool! If you yourself use it for less than 14 days/year, the vacation home is considered a business and up to $25,000 in losses can be deducted each year. So you ask…. "why have a vacation home that I can only use 14 days a year?" Well, here's the loophole…Days spent "maintaining" the home, aren't considered personal use days. Hmmm….maybe that's why I see so much window washing and deck sweeping going on.. I'm not making this stuff up. There's a great article on Kiplinger.com that tells all about it. 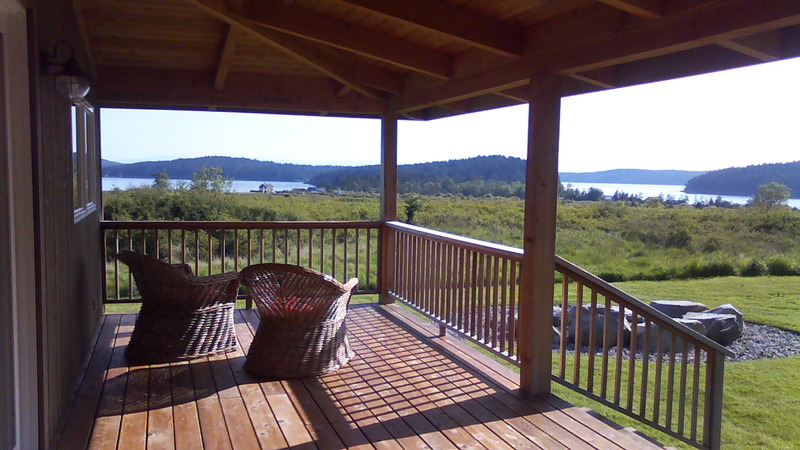 I may not be able to do your taxes, but I can sure show you some wonderful San Juan Island properties that will tempt you to live your "dream".